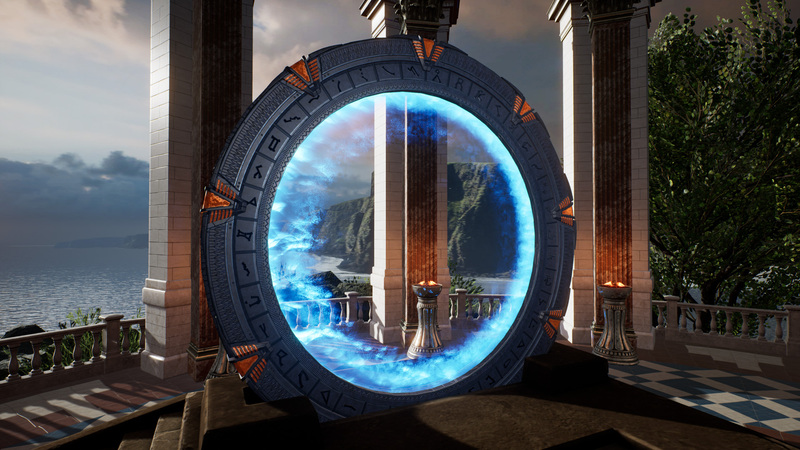 Within the framework of a small project, a real-time optimized Stargate 3D model including animations and VFX was developed. 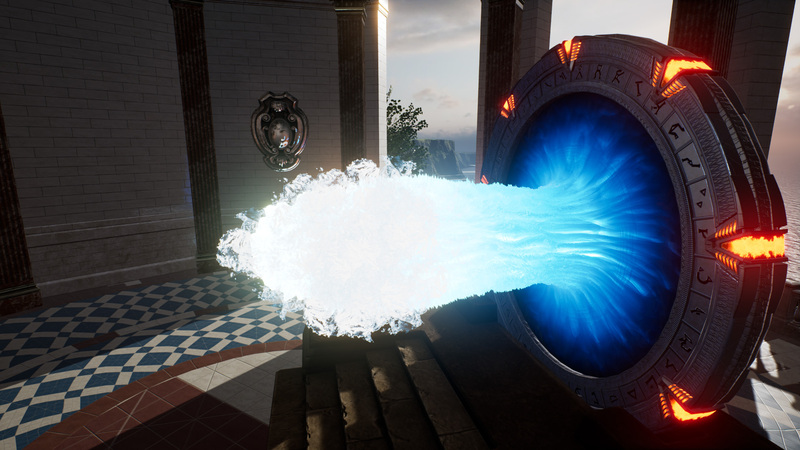 In addition, it was implemented in a sample environment in Unreal Engine 4 and a dynamic dialing system was set up. 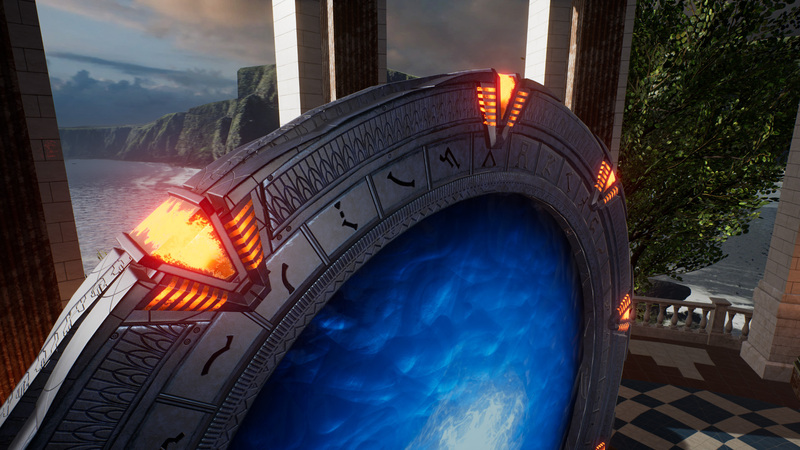 The 3D model is based on the Stargate from the TV series Stargate SG1 and was modeled, rigged and animated with Maya. 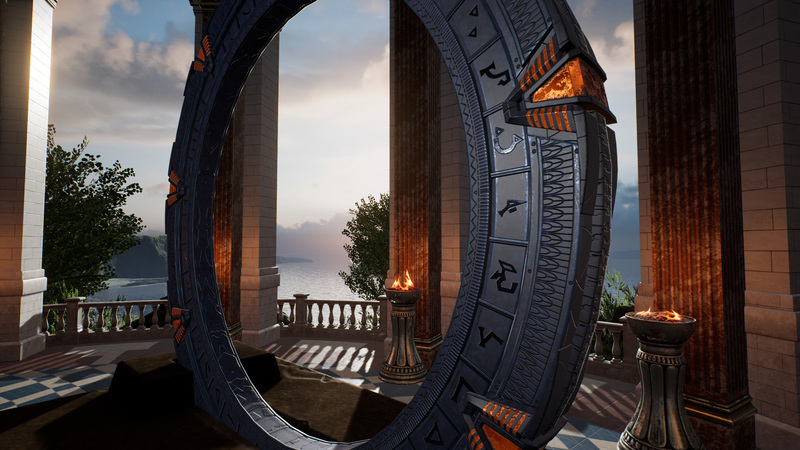 While the texture baking of the base normal map was done via Marmoset, the actual texturing and the final texture baking was done in Substance Painter. The PBR textures were generated on the basis of the metal roughness workflow. 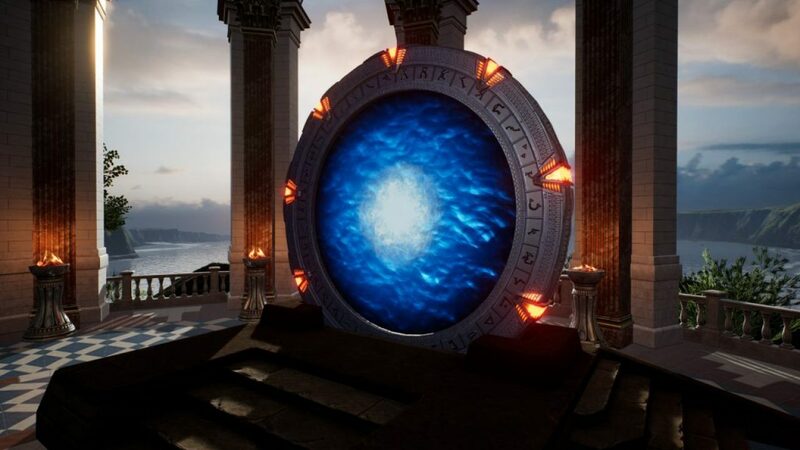 The final 3D model of the Stargate contains approx. 6.000 tris with a total of three material slots. 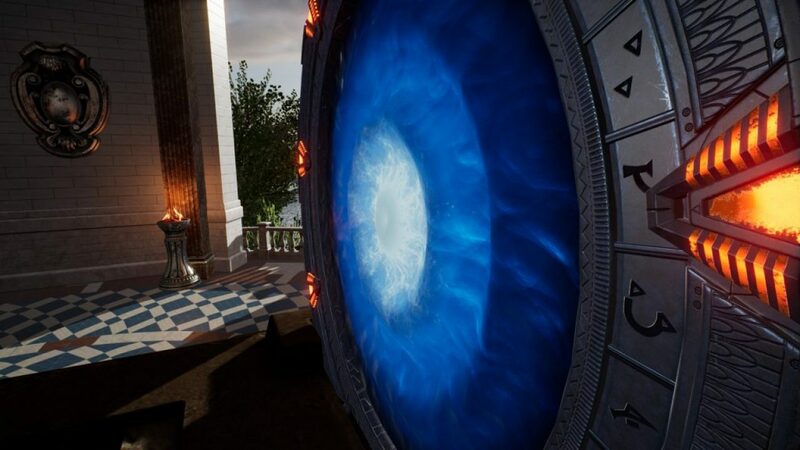 The textures can be loaded in either 4k or 2k. 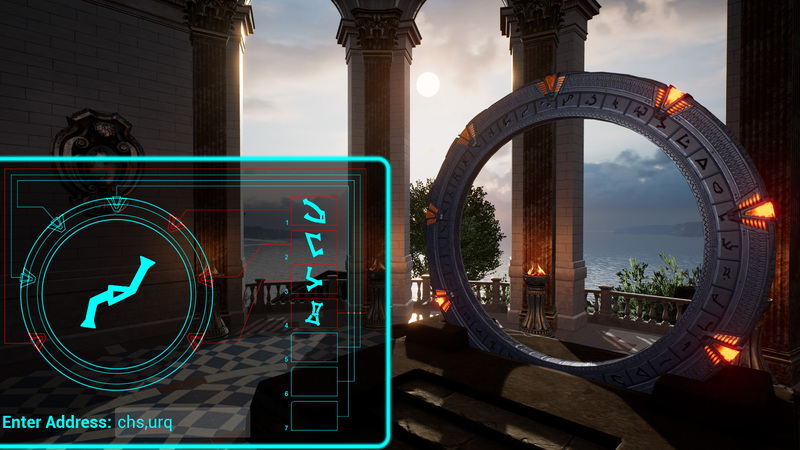 In Unreal Engine 4 an animation system has been developed which allows a dynamic control of all 39 symbols. For the portfolio implementation, each symbol was assigned to a specific key input, which in combination with a user interface allows the user to dial any address. The Kawoosh effect was a particular challenge, with the final result consisting of a combination of morph target, particle effect and animated shader. 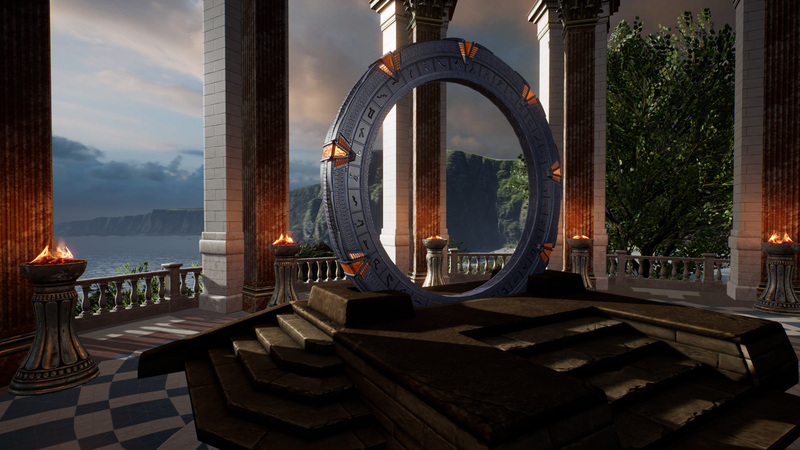 The 3D model has been published on Sketchfab and can be viewed in more detail in the embedded 3D player. 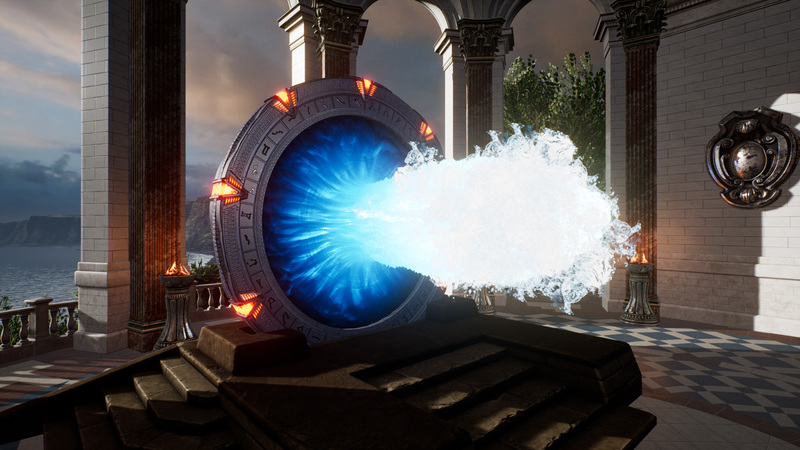 Sketchfab does not support animated shaders, so in this case a static variant of the event horizon had to be used.